Let’s go Green with Laguna Lăng Cô ! Greening Communities was first launched by Banyan Tree Group in 2007 to raise awareness about climate change for all associates and guests. 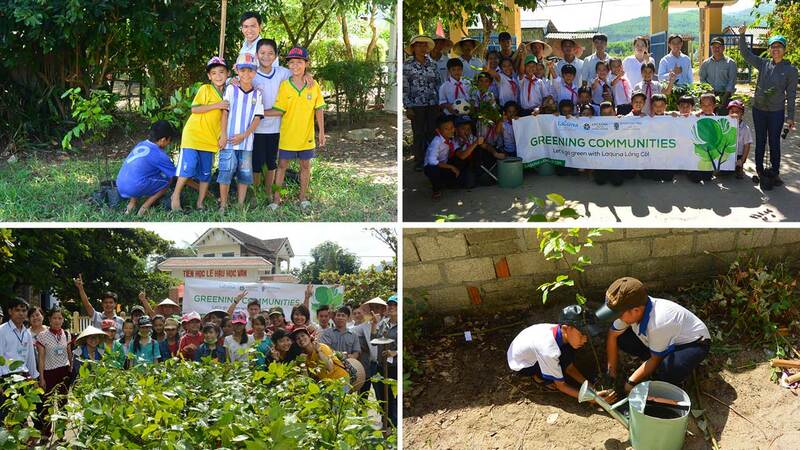 In May 2015, Laguna Lăng Cô launched Greening Communities campaign with the aim to provide greenery and shades for schools, committing to Banyan Tree’s group-wide environmental initiative and challenge for each resort to plant 2,000 trees per year. 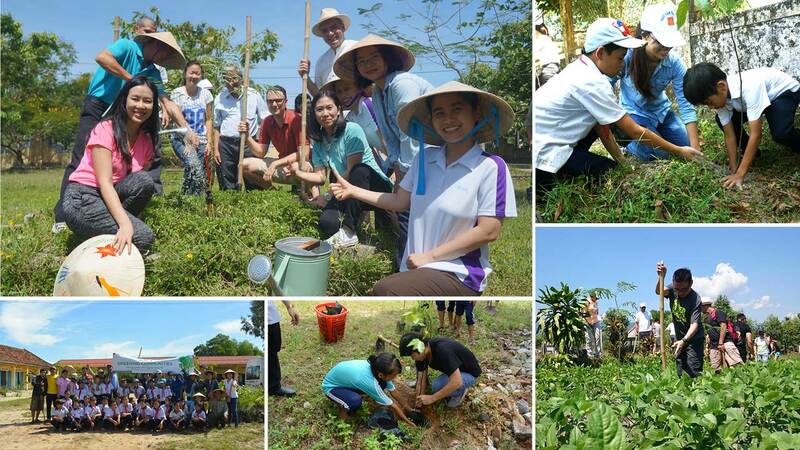 From May to November in 2015, Laguna Lăng Cô successfully planted 4515 trees for shade (local Flamboyant and Hopea trees) in 18 local schools within 7/16 communes in Phu Loc district, with the participation of 97 hotel guests, 255 associates, as well as 1218 local students and school representatives. Fun events were also organized to teach schoolchildren about the benefits of trees and greening. These trees provide shade for local students’ playground, making the local community a greener place. Laguna Lăng Cô’s number of trees in 2015 is twice higher than the challenge from Banyan Tree Group to each Banyan Tree resort in the world.